Edition statement:Seventh edition. Published by : McGraw Hill (New York :) Physical details: xxii, p.762 ISBN:9781260091953. Subject(s): Securities -- United States. | Stock exchanges -- United States. 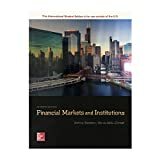 | Financial institutions -- United States. | Rate of return -- United States. | Interest rates -- United States.